We probably don’t have to tell you how important is your credit score. And you probably know that the higher your score the better. But there are a lot of myths about credit scoring that just can’t be killed off. For example, according to a study done by Bankrate more than half of all Americans (51%) believe that if they have an account with a high balance but make their payments on time that this will help their credit score. The truth is that those high balances will count against your debt to credit ratio, which accounts for 30% of your credit score. If you’ve never heard the term debt to credit ratio it’s the amount of debt you carrying versus the total amount of credit you have available. This is also sometimes called your credit utilization ratio. It’s calculated by dividing the total amount of credit you have available into the total amount of your debt. For example, if you have $10,000 in total credit available and $5000 in debt your debt to credit ratio would be 50%, which is much too high. A second myth held by 37% of consumers is that you need to carry a balance on your credit card(s) to improve your credit. The truth is all you have to do is carry a credit card to build a credit history. If you carry a balance on a credit card this could end up compromising your finances future. A third myth is that you should close old credit cards. About 75% of us thought this was true. Only about 25% of those surveyed could correctly identify the fact that closing an old credit card account would damage their credit. The reason that this is true is because 15% of your credit score is based on your credit history or how long you’ve had credit. Let’s say that you have an old credit card you opened 15 years ago and a couple you got just two years ago. If you close that 15-year old credit card your credit history would immediately drop from 15 years to two years and that would have a definite impact on your credit score. 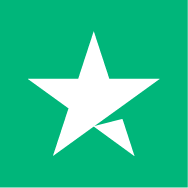 American consumers have become much better in terms of getting their credit scores –from sources such as Credit Karma or Credit Sesame or on their credit card statements. But they don’t have the knowledge or educational background as to why their score is what it is. The underlying problem is that credit scores and credit reports are not designed to be read by us, Mr. and Mrs. Consumer. They’re designed for the lenders. The algorithms that are used to establish a person’s creditworthiness often don’t make any sense or can be counterintuitive to anyone that is trying to better manage his or her credit. Most experts say that if you want to do a better job of managing your credit you need to get your credit report as clean as you can. This means pulling your reports once every three months to look for signs that your identity has been stolen or that they contain errors. You have three credit reports, one from each of the three credit reporting bureaus – Experian, TransUnion and Equifax. You can get them free once a year or at www.annualcreditreport.com. When you see your reports you should get a better idea of why your credit score is and see those risk factors that usually come along with your reports and scores. The task of reviewing your credit reports can be a tough one. However, you need to review them carefully to see if there are items that could be damaging your score. If you come across an item you don’t recognize or understand you need to contact the appropriate credit bureau for an explanation. Or you might take your credit reports to your credit union or bank and sit down with a loan officer and ask for clarification. There are also nonprofit credit-counseling agencies that could be helpful. When you’re reviewing your credit reports you also need to look for what are called errors and omissions. These could influence your bad credit rating. An error could be a credit application you never actually made or an item where your name was misspelled. Omissions consist of things such as an old account of yours that had gone to collections that you had satisfied but is still reported as overdue. If you find one of these you need to document it, which means collecting the data you need to prove your case. This could be copies of canceled checks or creditor statements. As an example of this suppose your credit report shows that you owe money to a creditor where you had paid the bill in full. In this case, you will need to find your statement that shows a zero balance. You’ll need to send this information to the appropriate credit bureau and the best way to do it is by certified mail. At the same time, you should send the information to the creditor that provided the erroneous information. When the credit bureau receives your information it has 30 days to investigate your dispute. It is supposed to immediately notify your creditor that that it is reviewing it. That creditor has 30 days to respond. If it doesn’t or if it can’t verify the accuracy of its information then the credit bureau must remove the bad information from your credit report. This may surprise you but the people that are the most at risk concerning their credit are millennials and retirees. In fact, just 37% of people age 65 and over, and 47% of those between the ages of 18 and 29, were able to recognize that it would hurt their credit score if they had only a short credit history. In comparison, about 60% of people age 32 to 49 and 50 to 64 correctly knew that a lack of credit history would hurt their credit scores. Did you know that a short credit history could hurt your credit score? Were you aware of the fact that closing an old credit card is a bad idea? Do you think it’s a good idea to carry a big balance on a credit card even when you’re making your payments on time? 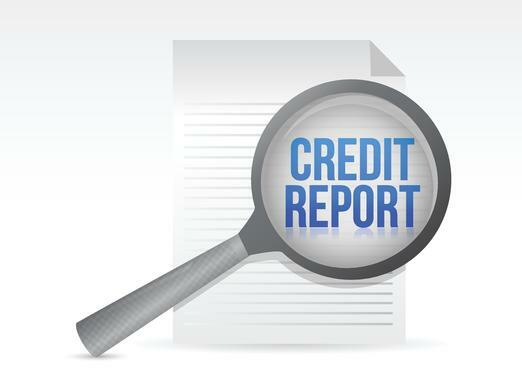 Have you seen your credit reports in the last three months? If you were able to answer all of these questions correctly, congratulations! You have a pretty good credit IQ. If not, you have some work to do. First, you do need to get your credit reports like ASAP. Beyond this here’s a very good article on understanding your credit score from FICO, the company that invented credit scoring and a short video on the same subject.